Cycling is a life skill and learning to ride a bike is a rite of passage. Education, together with engineering and enforcement, helps more people cycle, more safely, more often. 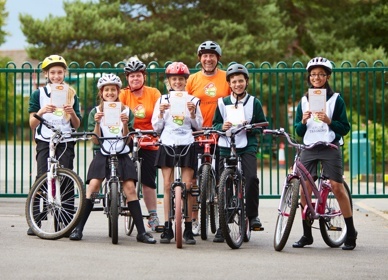 Bikeability is based on the government’s National Standard for cycle and instructor training. It prepares people to cycle everywhere cycling is permitted, and contributes to delivering the transport, environmental, health and economic benefits that more people cycling promises. Bikeability is a progressive programme in which trainees first master cycle handling skills in traffic-free environments (Level 1), then develop the skills and confidence to cycle on local roads and simple junctions (Level 2), before tackling often busier, multi-lane roads and complex junctions (Level 3). 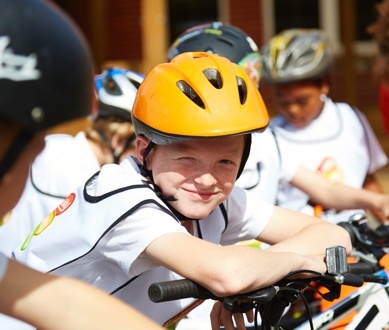 Additional ‘Bikeability Plus’ modules aim to increase the take up of Bikeability training in schools and its impact on children’s cycling.